After 2016, 2017 was a pretty quiet year. No major life changes, no major crisis, no major advancements. It came and went but one thing is for sure, I ate a lot of wings. 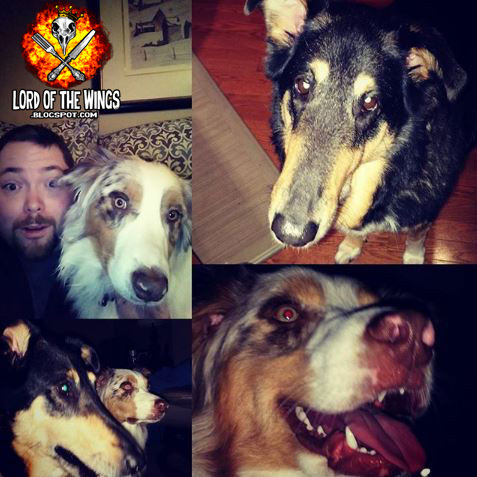 Like, a LOT of wings. 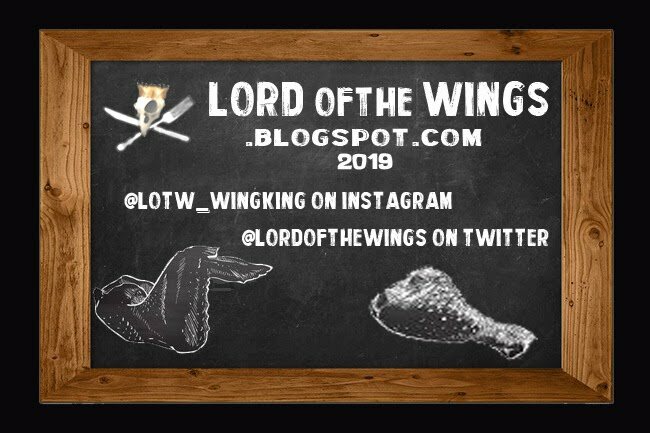 It's also the year that I got Lord of the Wings blog back on track. Or mostly on track as I'm posting this quite late. I'm dedicated to making 2018 even better, but 2017 was the restart. It's when I finally started getting back to doing proper wing reviews, as they were meant to be. 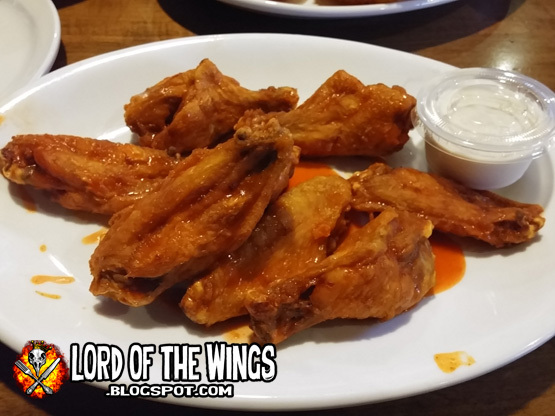 It feels good to get back to what I love to do; eating wings and writing about it. This year's Year in Review is still not what I want the YIR to be. My reviews and recipes are not at what they should be, but we're getting there. 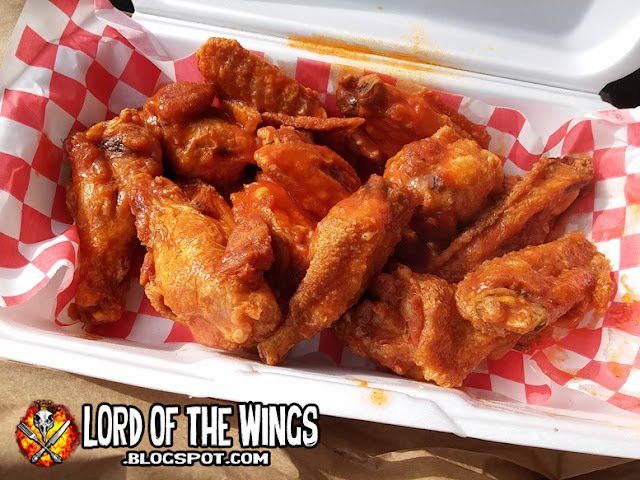 The following is a quick list of the Best Wings I reviewed in 2017, broken into my top 3 regular restaurants and my top 3 take-out wings. They aren't ranked, but I have listed their Scores. My Score score's are not what makes this list, as it's possible that terrible tasting wings could score high. I may have to re-vist the Score. The original review is linked in each little blurb for your perusal. 2017 was the year I rebooted the blog to the old days of reviews (instead of it just being a meme depot). 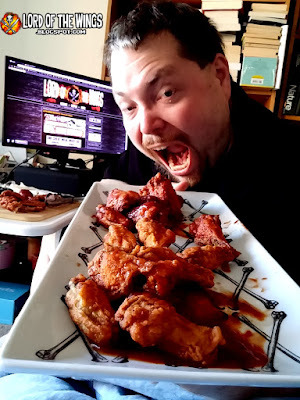 That being said, I ate and documented a ton of wings but never wrote or published. So in the vein of the 2016 YIR, here is a brief synopsis of some of the wings I had over the year but did not publish in alphabetical order. 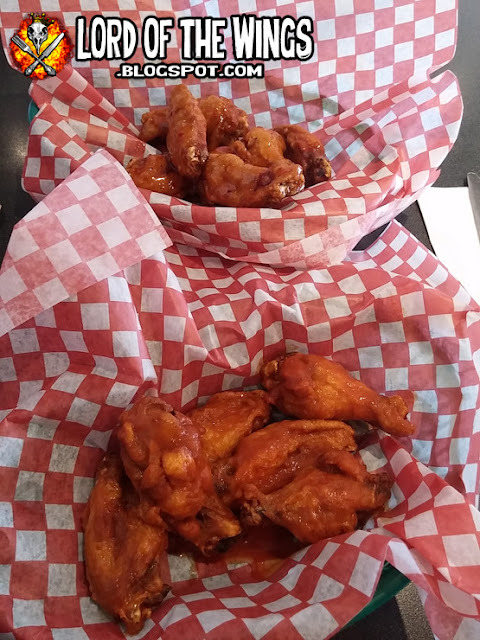 This little diner found in an semi-industrial, auto-repair area of Ottawa, is clearly feeding blue collar workers, seniors, and guys looking for wings. I was lured in by their daily $0.60 wings offered dine-in only with a beverage. 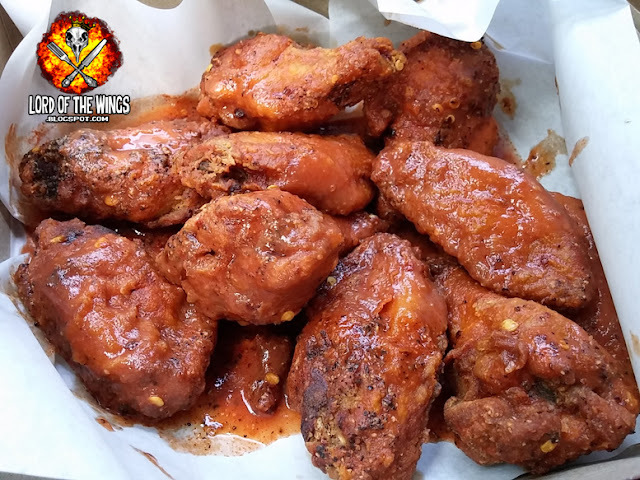 Fried and tossed in classic wing sauces, these wings are nothing special, but they will fill your wing cravings. After dropping some family off at the airport late one night, the wife & I were starved and saw the mecca of chicken wings. Our waitress did not give two #*&$s about us as customers, which put a slight damper on the meal. The wings were good (that classic Buffalo flavour) and were large, but they were overpriced and over-hyped. LJ had the Buffalo Dip and it was frozen garbage. Super disappointed in an establishment that sold out. I went for the Thursday 1/2 price wing night. I got 'battered' wings, Hot with side of Suicide, & BBQ dry with 40 Creek BBQ sauce on the side. Wings were small but delicately crispy. Dry BBQ was undetectable, but the 40 Creek was smokey & slightly sweet. Hot was standard cayenne, & the suicide had a small kick & had a slight sour tang but wasn't my thing. Fries were fresh cut and perfect, & their garlic dill ranch dip was awesome. Shout out to my server Kaitlin who was really nice! 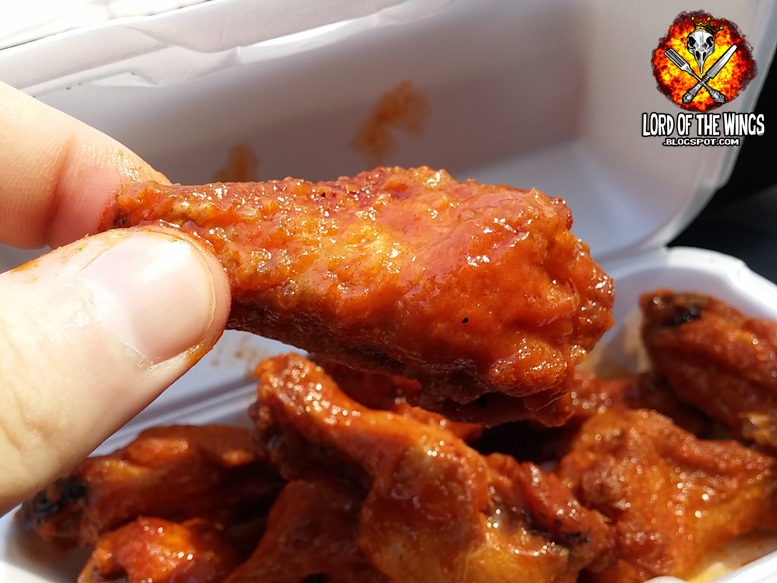 Shakespeare & Wings may not seem like a natural combo, but don't bite your thumb at it! 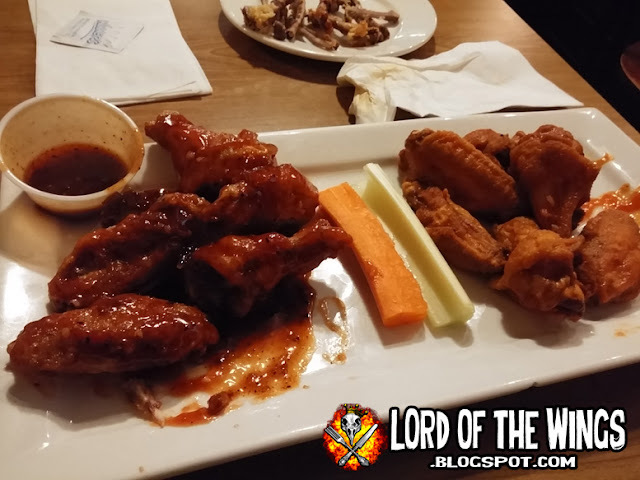 Had some pre-theatre wings at the Boar's Head Pub. 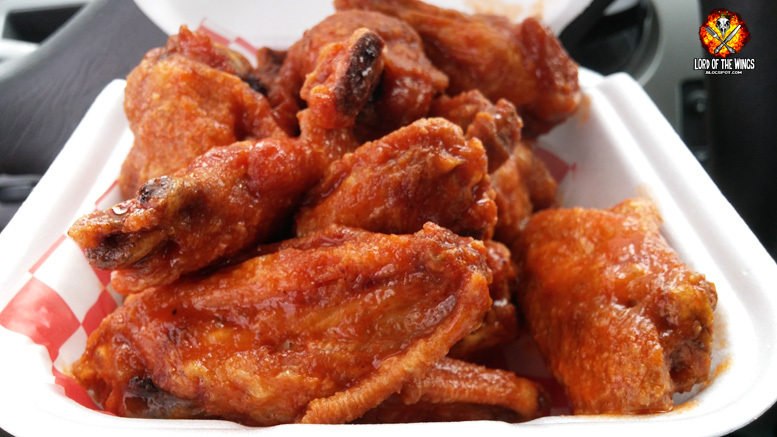 Large, dusted & crispy wings. Hot was standard, suicide on the side had a good bite but was freeezing cold. Ultimate Cajun was tossed in Cajun rub and sauced with Honey Garlic (no HG please!). They also added a vat of tasty blue cheese. Wife got Mac & Cheese: they use a different pasta every day and fill it with thick meaty bacon; Caesar salad & garlic toast on the side. Then we saw Romeo & Juliet at The Stratford Festival ~ amazing costumes & sets & funniest take on R&J I've seen before. Ok I'm just going to say it - forget the wings. They were ok - soggy and just Frank's splashed on. But what you need to go get is the Halifax Donair with it's sweet garlic sauce. 1) I had Rib & Wing combo. Ribs were tender but blah and sauce was just squirted on. 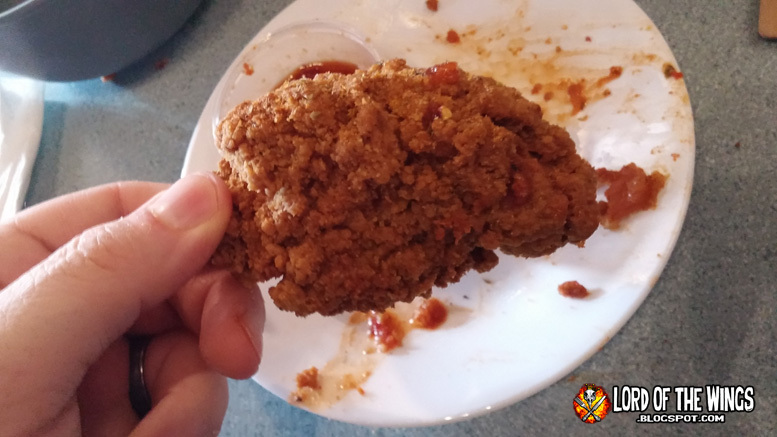 2) Breaded wings were small but crunchy and a bit saucy. Tasty enough. 3) Triple Decker grilled cheese. Wife said it was ok.
4) Top Sirloin Steak ~ for $10 my father-in-law said it was ok.
A) wife asked for no tomato on sandwhich .... It came with a lot. B) had a coupon for $10 off meal, waiter didn't take off first time. C) my combo was more expensive than menu. Waiter explained it was the fries and gravy ~ I didnt order gravy and waiter asked if fries were ok, not extra when i ordered. Thursday is Wing Night at Crazy Horse where its $4.99 for a pound of smoked then flash fried wings ~ yee haw! 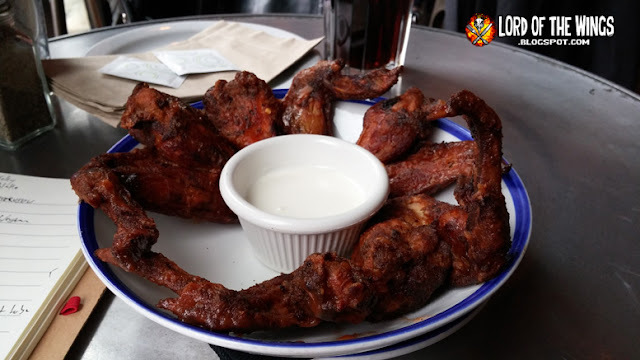 Really dug the Dry Rub (salty & hot peppery) which was also great for dipping in the Suicide sauce (a fruity sweet sauce with a sting) on the side. BBQ Pit sauce was well balanced as a little sweet & a little savoury. 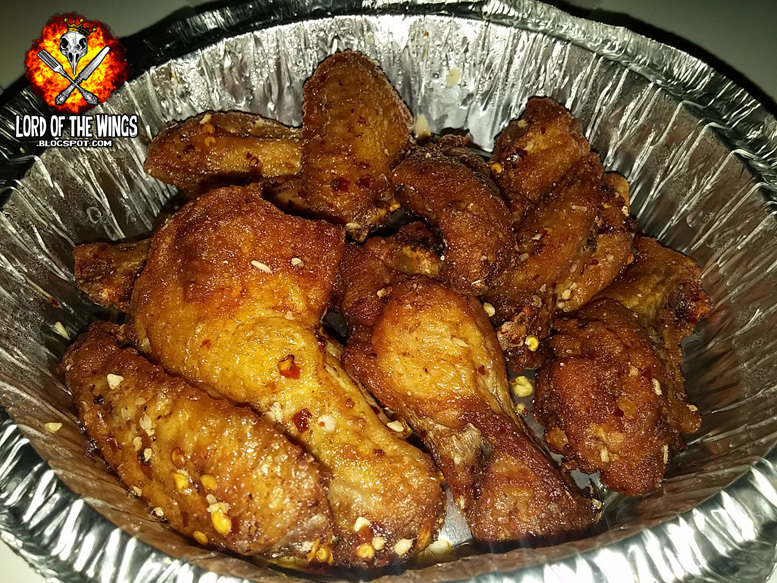 Wings were meaty & just slightly tough from smoking, but the flash fry made them nice and crispy. Veggies with dill ranch dip on the side was also appreciated. Shout out to my server Avery who took good care of me! Came across Moe's running errands & decided to stop & boy I'm glad I did. Got 10 wings & the box felt like a brick. Wings were large, meaty & crispy, but a little tough. Very saucy and a great peppery suicide sauce not just straight out of a bottle. Happy to find this gem. 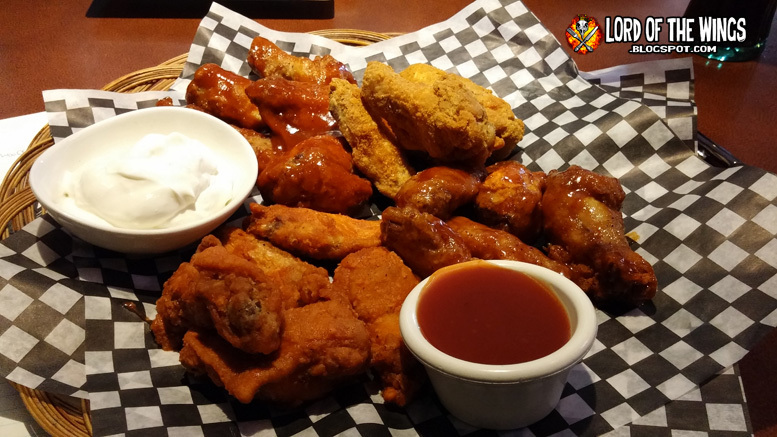 Mondays and Tuesdays are wing days all day at Grace O'Malleys in Ottawa. Wings were large, breaded & very crispy. Had Kentucky Cajun (there are some geo/cultural issues with this title), Hot (Frank's) and a side of 5 Alarm; the waitress said it was weird suicide, but I liked it ~ it was thick & peppery & had a kick, but I wouldn't want a whole order (good for dipping). $0.60 wings at Tuesday & Thursdays means Thursday night feasting at Hard Stone Grill. 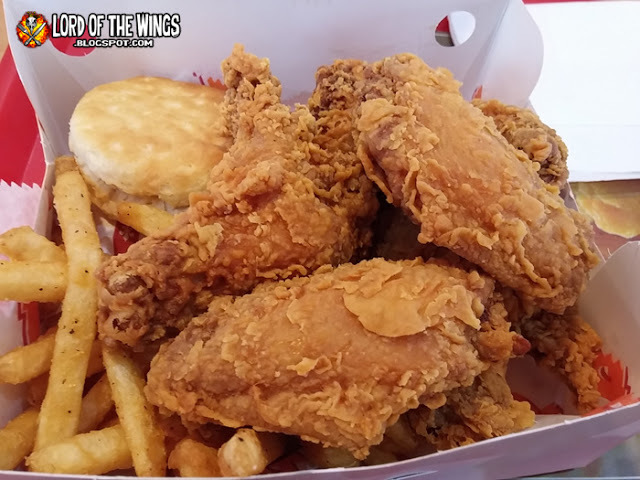 Wings were meaty & crispy but the chicken itself was a bit tough and tasted not right. This is a steak place, so probably stick to the steak. 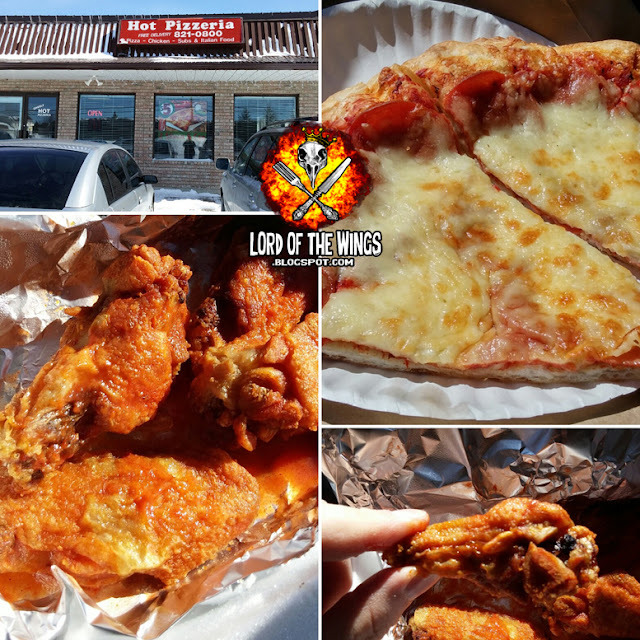 Hot Pizza in Greely has lunch specials like 8 wings, or 2 slices & a pop for $5! 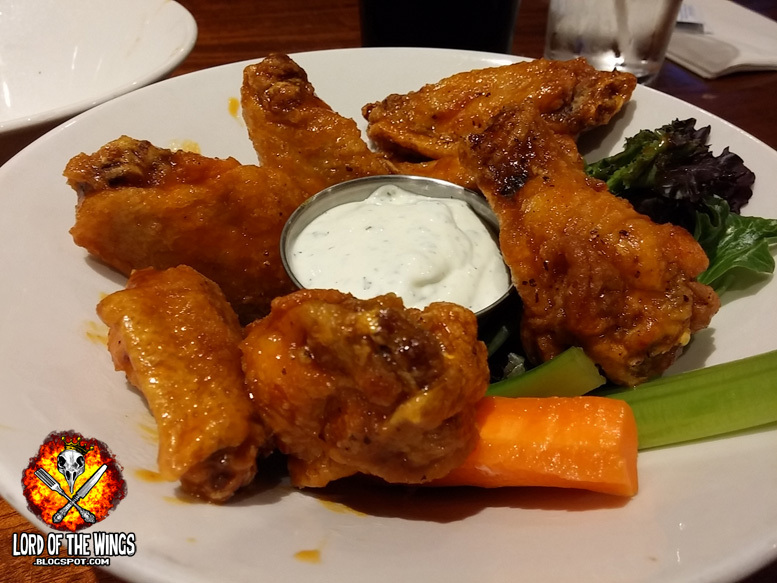 The wings were classic Hot wings that were classic tasty, saucy & crisp. The pepperoni pizza slices were very basic, but really hit the spot! 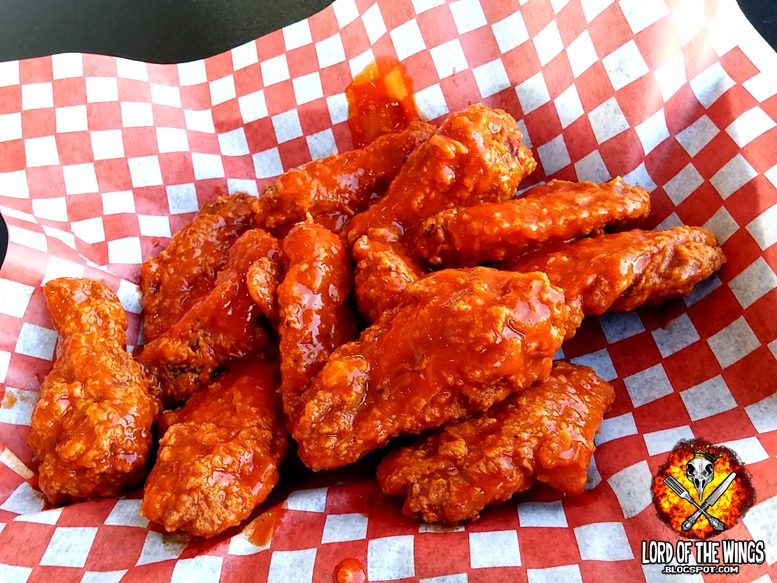 The Iron Duke's wings in Kingston are pretty epic. Large with delicately crispy skin. Went with the Sriracha/Lime/Honey wings which were slightly sticky, slightly sweet, with a little chili/acid. Got Suicide (habanero/chipotle/cayenne/bbq) on the side & wow was it good; lots of heat but a bit sweet from the bbq ~ a great suicide sauce! Also, the homemade ranch was thick & creamy & very good! Spacious pizza joint next to a grocery store, JoJo's serves up a big tasty slice of pizza. The wings are fried, tiny, and topped with 3rd Degree. They actually gave a small container of sour cream for dipping ... oh Ottawa. Wednesday is 1/2 price wings at Lowertown Brewery! Whole but tiny wings. Great hickory smoked flavoured chicken. Got Smoked Scorpion sauce but mostly tasted the smoked wings not the sauce. Was not impressed with the $1.50 watery blue cheese dressing with no blue cheese in it. Flavour was fine, but an extra charge and no cheese? No thank you. Nuclear' wings from Merivale Pizza. Asked what sauce 'nuclear' was & pizza dude said Frank's; "Franks is the best" he said. It was not nuclear... Also, the oil was old (plus lots of french fry bits mixed in) so the wings were sour :( Will not return. 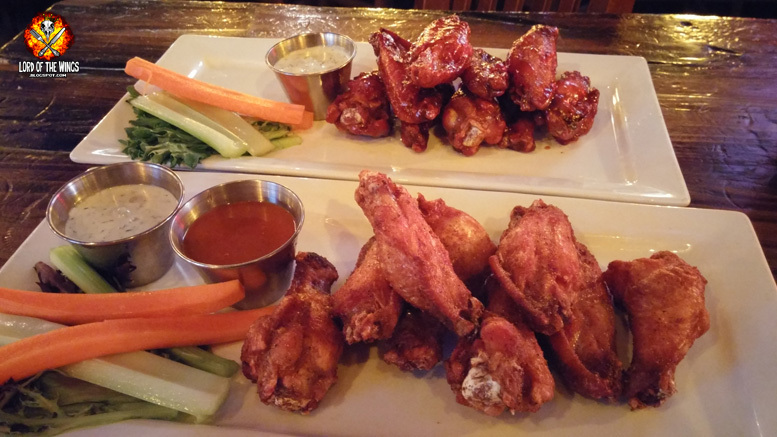 Monday & Wednesdays are 1/2 price wing night at Connor's Pub ). These were massive wings & I couldn't get over these mutants! However these were heavily breaded wings; a good millimeter or two thick. Too thick. I was eating more fried flour than chicken or skin. Hot was Frank's, Cajun was light but mostly overpowered by the breading. Suicide had a bite but was sour. They started off good but the breading became too much for me. Shout out to my server friendly server Demi who kept calling me darling! See the description in the Instagram - Patty Boland's is always doing some sort of wing special or event. Good wings, good prices - I'm sorry I haven't been back sooner. 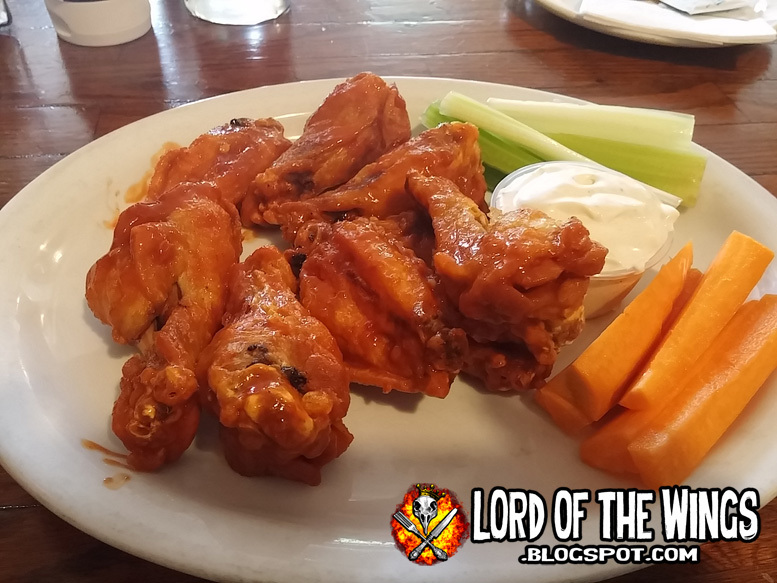 FANTASTIC Buffalo wings from The Red Fox Tavern I had in Perth On earlier this summer. Wings were large, crispy and saucy. Suicide was just added chili flakes but the flavour was spot on. Great blue cheese dip as well. 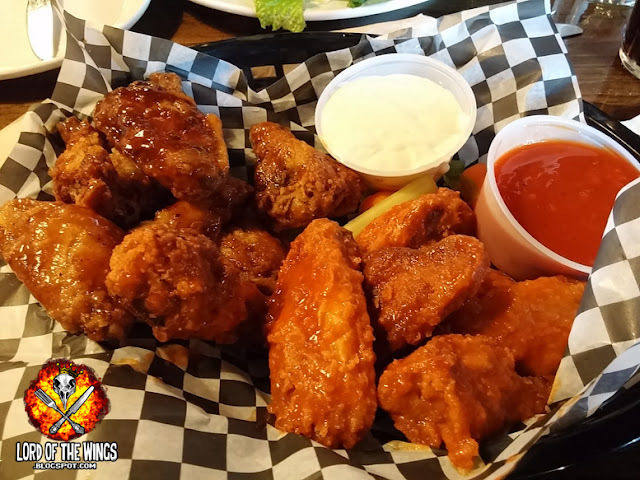 Wing nights are Wed & Thursday after 5pm. Baked? Wings that were tossed in 3rd Degree. Not that big, nice enough flavour. The pizza was loaded and a nice relief from the thick style of pizza prevalent in Ottawa. Classic Hot Wings from Ricardo's pizza. Meaty, crispy, & wet with Frank's sauce. Simple but done right. The Sens House is on the second floor over another restaurant in the Byward Market. It's a big sports bar with a great view onto the street. They have AYCE wings every Thursday for $15 - that's pretty awesome. I had Dry Cajun, Buffalo Hot & Smokey BBQ. This was seriously a good deal! Shout out to Taylor my awesome waitress! Nothing is more exciting in a restaurant than food coming out on a sizzling skillet. The sound grabs your attention, the smell fills the air, the smoke trail goes through the joint, and everyone stares to see this foodie entertainment moment. And when that skillet has wings, look out! 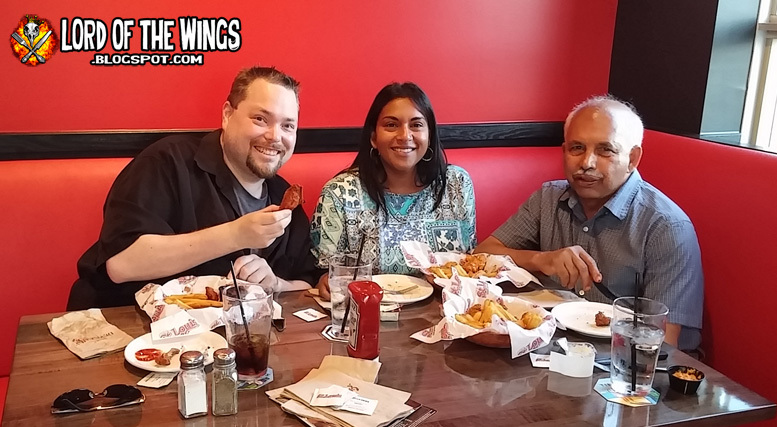 These were the BBQ wings from Serena Grill North Indian restaurant in Whitby. Rubbed in Indian spices and chared they were savoury, meaty and just really good. The lunch specials are great - love the butter chicken, chicken tikka, and chicken karahi, each with salad, pop and the freshest butter naan. Good specials and good food! This pub is named after Canada's first Prime Minister, a once celebrated, now polarizing public figure, much like the wings here. Frozen wings are not inspiring. 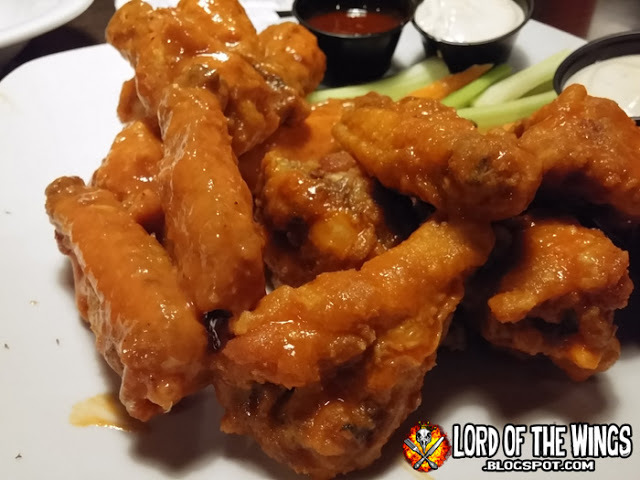 'Suicide' wings from Tony's Pizza in Orleans. The proprietor was very upfront that it's Frank's Xtra Hot & said other places just put some pepper flakes in regular Frank's & that's not hotter. I agree. These were crispy and saucy. Not too shabby but the wings weren't big and were pricey. 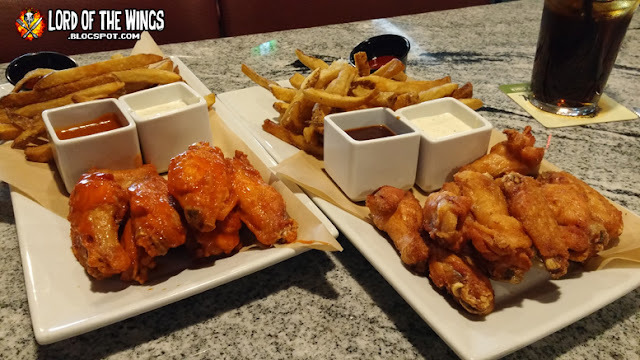 This Westboro diner serves up kicked up traditional diner food and breakfast all day long, you wouldn't expect to find wings. Well you can and while they are simple, they are really well done. 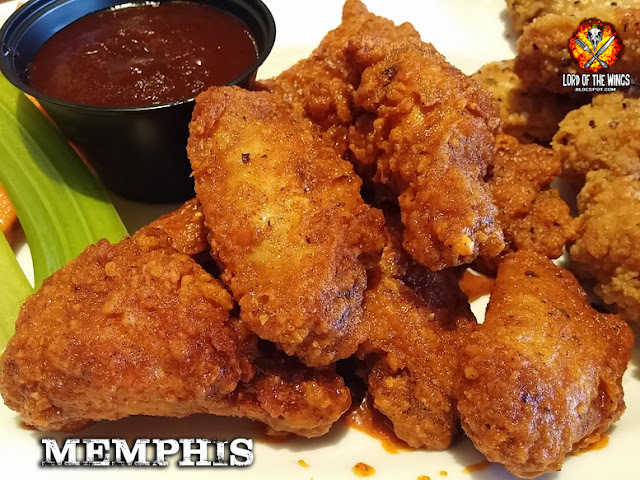 Wednesday is wing night after 5pm. 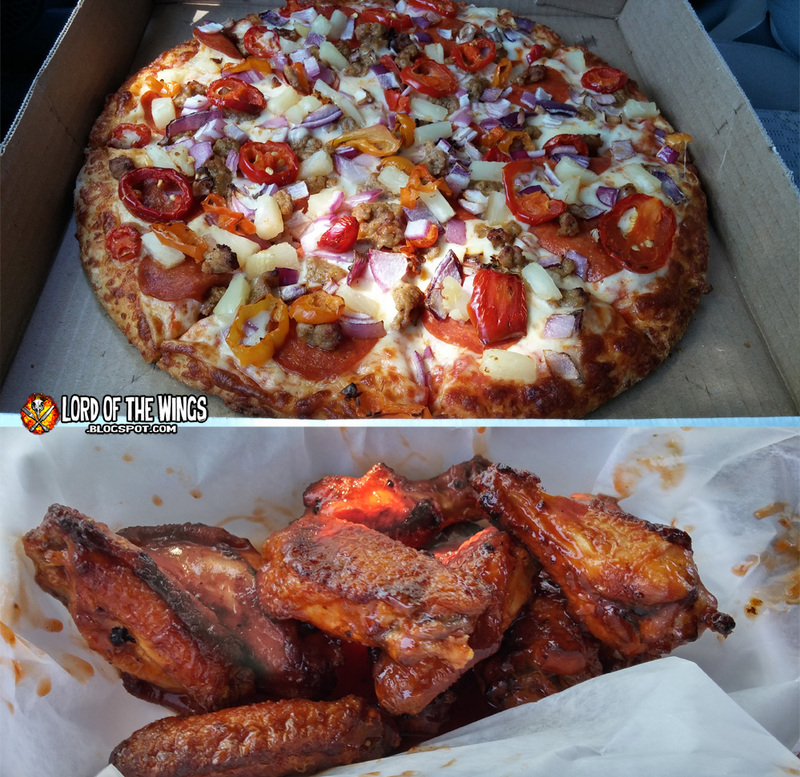 I'd been to Whispers back in 2009, so I figured it was time to see what's what in their wing department. Well they still have wing nights Tuesdays and Thursdays, and they still serve good sized and sauced wings. Hot was traditional, BBQ is a nice sweet/savory mix, and the Chef's Challenge is still peppery spicy goodness. Finding good Chinese food, authentic or North American, has been a challenge in the Capital. 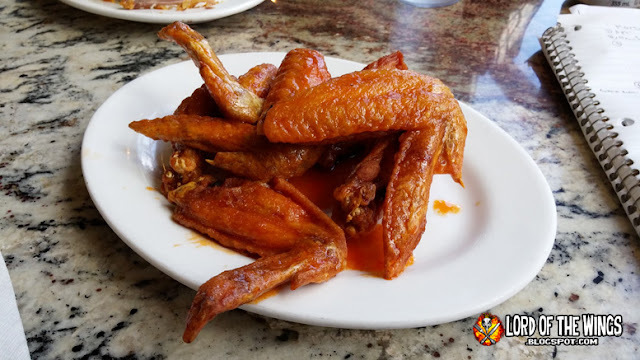 Dishes are hit and miss, and the wings from Yang Sheng were no different. These Spicy Salt wings were not spicy, were not crispy, and were pretty dried out by the time the delivery got to the door. YMMV but I don't think I'll be ordering these any time soon. This was originally titled RECIPES, but I only did 2 full on recipes in 2017. I decided to switch it to HOMEMADE, as in items I made that aren't official recipes, but I think need another shout out. These are things that happen in the LOTW Test Kitchen. Back in April we were house and dog sitting for friends of ours. Not only did they have a BBQ grill I could use, but they also had an Actifry! I've been very curious about these "air fryers" and their claims to make crispy chicken wings just like a deep fryer without the oil. My first attempt produced cooked wings that were not crispy and missing that deep fried flavour that apparently is important. On Test #2: I tossed the wings in rice flower, baking powder & sea salt and air fried for 25 minutes. Results: wow. The wings were very crispy, like they were fried. Soo much better than round one! We tried air frying a few more items and while it worked ok, I wasn't really sold on buying one myself. 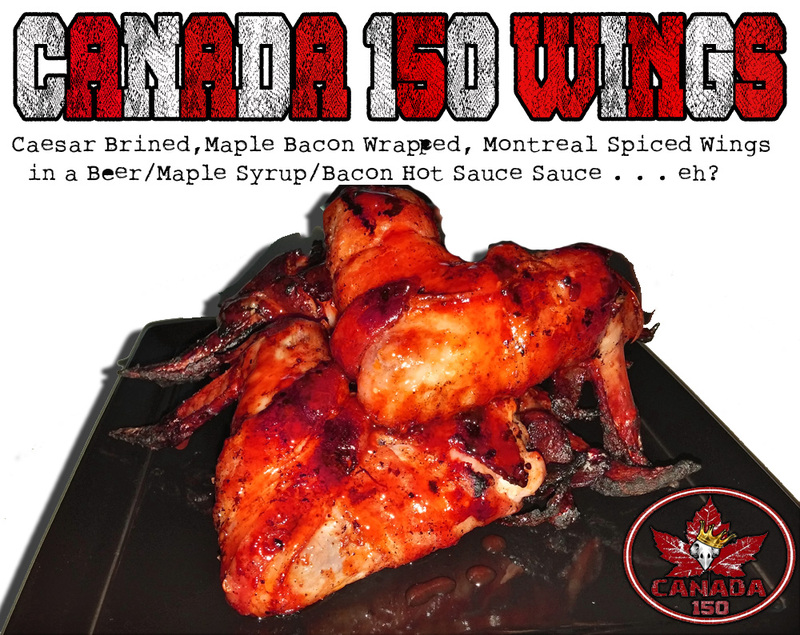 Caesar Brined, Maple Bacon Wrapped, Montreal Steak Spiced wings in a Beer/Maple Syrup/Bacon Hot Sauce Sauce . . . eh? It was savoury, sweet, spicy and great for any hoser! No recipe, but I made some BBQ ribs and they looked and tasted really good. Me making ribs is a challenge because we live in an apartment/condo where we have community BBQ pits that I can't control the temp or anything. But I don't let that stop me from making great ribs and being Lord of the Ribs. 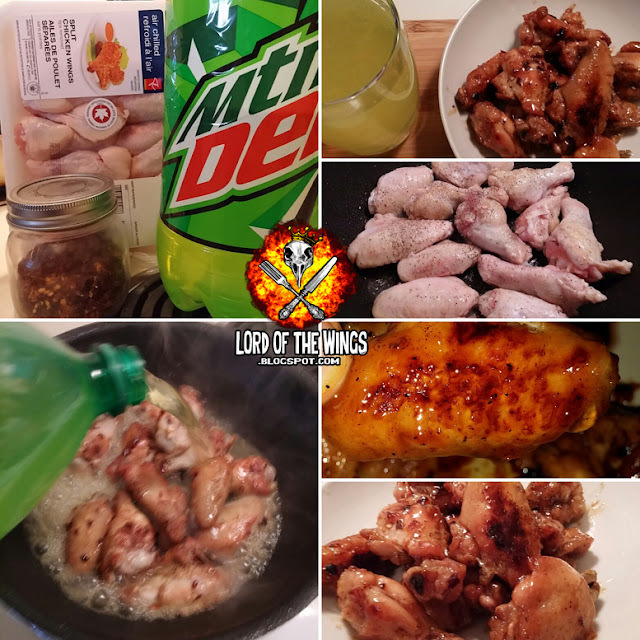 Why make Mountain Dew wings? Because we can, because we can. This little experiment turned out some interesting results and I learned a lot. I was expecting neon green lemon lime flavoured wings that I made using Chinese Coke wing techniques and what I got was Chinese Coke tasting wings. Crazy. What could be better than a summer grilling of wings and lobster? I know, decadent. The grilled wings were good, but lobster tails cooked in chili garlic butter? Amazing. 2017 was relatively quiet year for me, but I still got out to have some fun and learn a little. 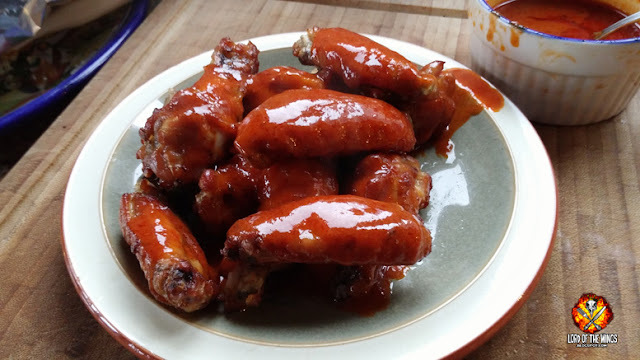 Made a HUGE batch of fried wings on my birthday and tossed in a couple of sauces. What a feast! Celebrated some free wings at St Louis Wings and Ribs on International Chicken Wing Day (July 29th) with my wife and father-in-law. Can't go wrong with free wings! 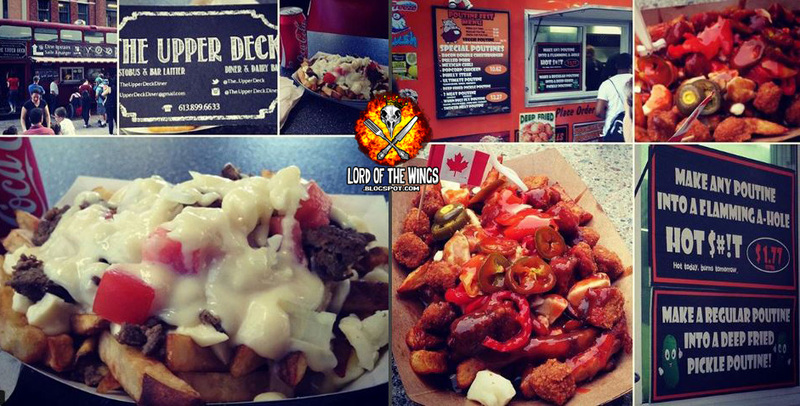 I headed down to the Spark's Street Poutine Fest in April to get my feed of fried, curds and gravy. Only in my case, amazing Halifax Donair Poutine from the Upper Deck Diner, and Flamin's Hole Popcorn Chicken Poutine from Fat Les's chip truck. Soooooo goood! I was asked to cook for a dinner party and I created a Hillbilly Themed menu. Some of the offerings shown clockwise from the top left included Hillbilly BBQ Beans, Baked Crack Dip, Beer Can Cabbage, Beer Can Chicken and Trash Can Nachos. Not shown was the Road Killed Potatoes and Red Necked Red Velvet Dip. Yum y'all! 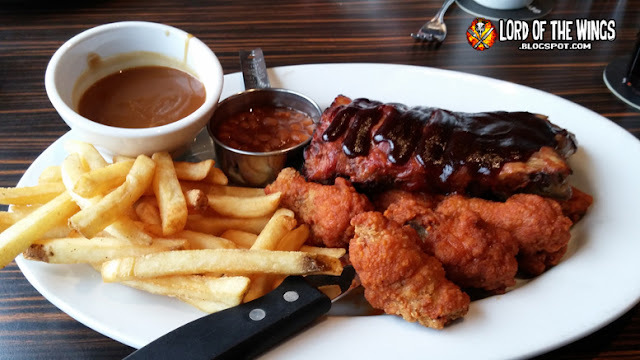 Spark's street not only has a Poutine Fest, it also has a Rib Fest as well. Above you can see my tender smokey ribs, slight smoke ring, bit of chew from the bone. 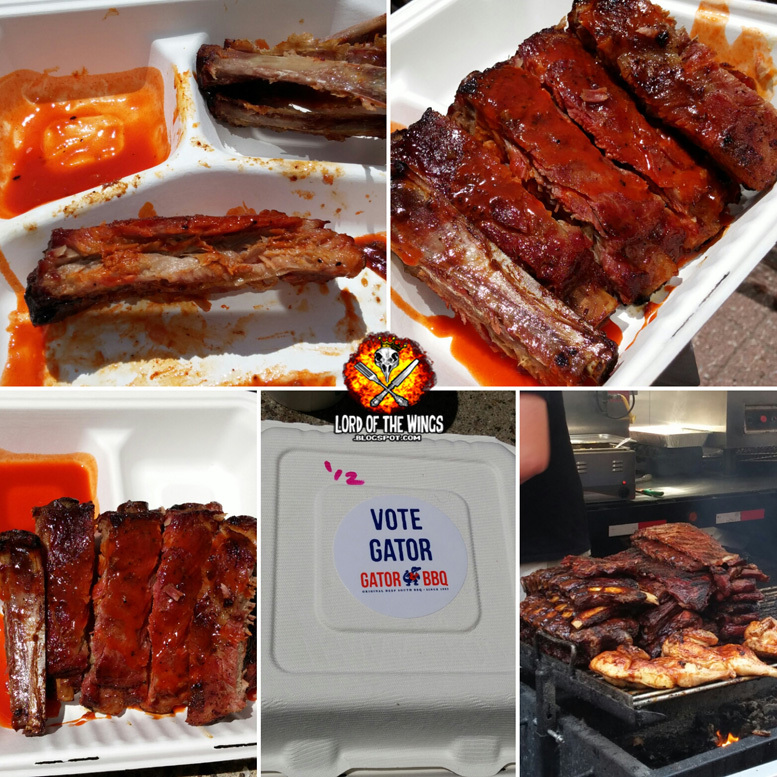 I couldn't really taste the sauce, but then again, I added their "Gator Bite" Lousianna sauce all over the ribs which gave them a hot wing type flavour. Very good. The highlight event of the year was taking a Traeger BBQ Grill Class with tv star and pitmaster Danielle Bennet Diva Q. I've followed her from her humble days here in Canada to her rise on the BBQ circuit and TV. She even singled me out in front of the class to thank me for supporting her for so long and signed and gave me the only copy of her book. Wow. 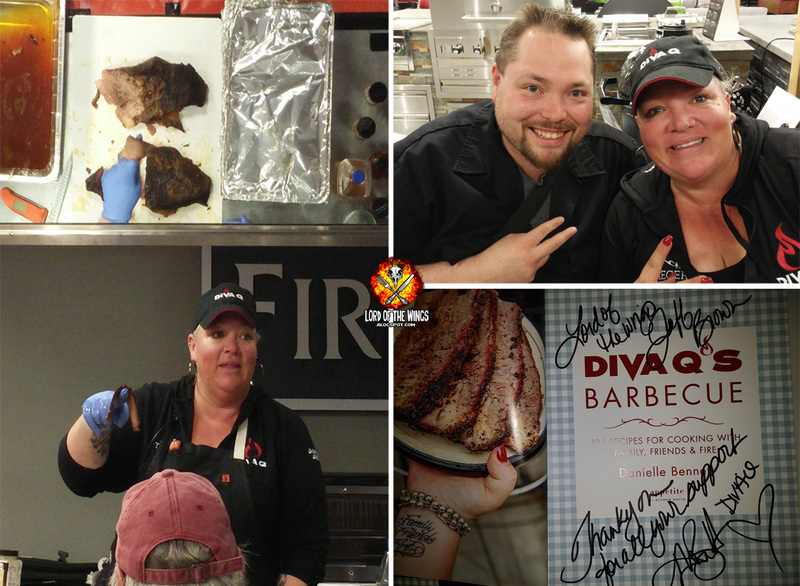 I also learned a lot as she went over BBQing ribs, thighs, brisket and giving some competition tips and tricks. If you can take this class, I highly recommend it! That was 2017. I'm really looking forward to 2018 - I think I'm in for some cool new adventures, wing experiences, and back to blogging and doing what I love. To end everything off, here is my #2017bestofnine from Instagram, the most liked photos that I produced over the year. They aren't my favourite photos, but they show a year of how lucking I am. Happy New Years (31 days later)!